Peter Campbell, M.D., is a Board Certified neurosurgeon specializing in minimally invasive and complex spine surgery and complex intracranial surgery. He received his undergraduate education at LSU Baton Rouge and his Doctorate of Medicine degree from Louisiana State University Health Sciences Center in Shreveport. 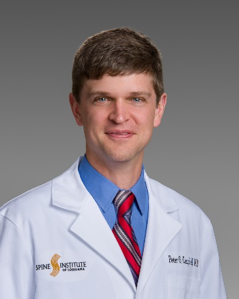 Dr. Campbell received his neurosurgery training at Thomas Jefferson University in Philadelphia, Pennsylvania and was the chief neurosurgery resident from 2010 – 2012. Thomas Jefferson was the first medical college to establish a clinic and is consistently ranked by US News and World Reports as one of the nation’s leading hospitals.